Why Marketing with Reusable Bags Matters to Your Brand and The Planet! We’ve gone over how marketing with reusable bags is good for your business. The reusable design means custom bags will be going to work for your brand day in and day out for several years to come. The ability to customize the look and design of your reusable bags means you can create something unique that speaks directly to your customers about your brand. You can build function into the bags by adding pockets or zippers, or adjusting the handles, making the bag comfortable to carry. The more useful a reusable bag is the more likely your customers will be to use it, so you will definitely see a return on your investment when you take the time to create a reusable bag that is functional. The marketing benefits of promoting your brand with reusable bags are pretty compelling, but if you still aren’t convinced this is the marketing tool for your brand consider the environmental impact. Reusable bags are so important to save ourselves, our planet and our wildlife from plastic and single-use plastic shopping bags. You can make a difference in the planet while helping your prospects and customers protect the planet, too. We all want to protect the planet and be a part of the solution and your business can make an impact. When you utilize reusable marketing items you are giving your customers something they can use again and again. An item that will also eliminate the need for and use of disposable items. 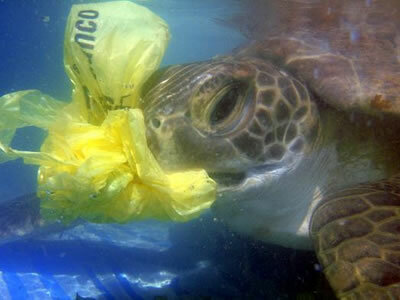 Plastic never goes away. It can be recycled and remanufactured into new items, but unfortunately, all too often plastic ends up in landfills or as litter. This can have dire consequences. To see what kind of impact plastic litter has on the planet check out the below video. Please be aware that parts of the video are graphic, but the plastic litter problem is graphic and this video helps to fully understand the impact of plastic pollution. .
Reusable bags not only help the planet by putting an end to the use of single-use plastic bags, but they also serve as a constant reminder about your brand, and they uphold your company’s green goals. The durable construction of reusable bags also speaks to your company. Your clients and prospects will associate the quality design of your promotional tool with your business, so a well-made marketing item can speak volumes to your business. Are you ready to create custom reusable bags and get them working for your business? Fill out a quote request now and start making a difference today marketing with reusable bags.